Hi! first and foremost, thank you Tamala for allowing to share this post with your fans I have always been a fan of your blog and page. I love sharing little and big things, nail art and swatches, love shoes and my kitties. 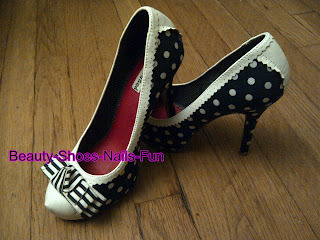 You can find all of this on my blog, www,beautyshoesnailfun.blogspot.com, Facebook page www.facebook.com/BSNFun and am also on Twitter at https://twitter.com/la_nanahk. I had an eye-popping post but plans changed when my little cousin (mini-me) wanted to do my nails, and she said she had a wonderful idea and that I would love it. Within me, I was thinking I could always take it off and then do the mani I wanted to share with you, but she said "it'll be like a surprise and I know you'll love it, I've been practicing" I couldnt resist. She's always coming over for me to do her nails but this was a first. She grabbed my mani bag and tools, she knew where everything was and started to work and this is what she came up with. She grabbed the right colors and the right tools! it's the best mani I've ever had. She only did one coat of the color but that's oK! used top coat as opposed to base coat LoL but she definitely has the right idea. When I asked her where she got her inspiration from. She answered "the shoes you wore for my birthday", but of course I didn't remember which shoes they were. I had to look through pics of that day and found them! (tear-drop) I decided to share this with you as a reminder that children are always watching. little things, big things, dotting tools and mani bags!! EVERYTHING sparks their curiosity. The responsibility does not end at the parents but at EVERYONE. If there's a child near you, he or she is watching and looking for "inspiration" and a source of learning. Please set a good example. She's very girly and love shoes, nails and everything that glitters. She made me so happy and proud. I do not look forward to her teen years when she starts picking her friends over me lol... I dont know how parents do it. Hats off to all parents out there! Thank you soo much for reading, I hope I didnt bore you, but I had to share and what better and take over this wonderful blog with this story. I hope to see you again in my blog and page and thanks again and again Tamala. You're welcome!! That was a cute story and a great job by your little cousin! Thanks for being apart of Takeover Thursday! 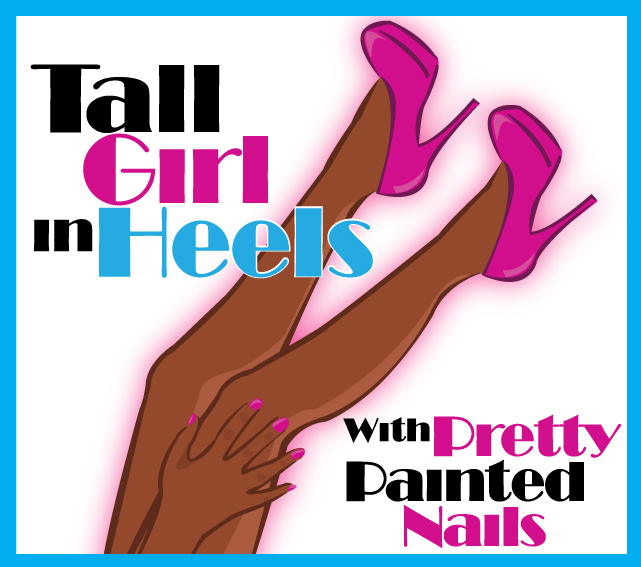 Please make sure to follow Beauty Shoes Nails & Fun at her of her social media!! Awwww! LOVE this! I have a niece that's very dear and near to my heart and even as she's gotten older she still makes time for her old auntie. SUPERB post and inspiration to stop and smell the roses! Thank you ladies! aww so sweet thanks!! I can only hope when she grows up and get older she'll still want to do my nails and take her time to look over my shoes lol I love her so much!